Postal or "on-the-day" entry is available. 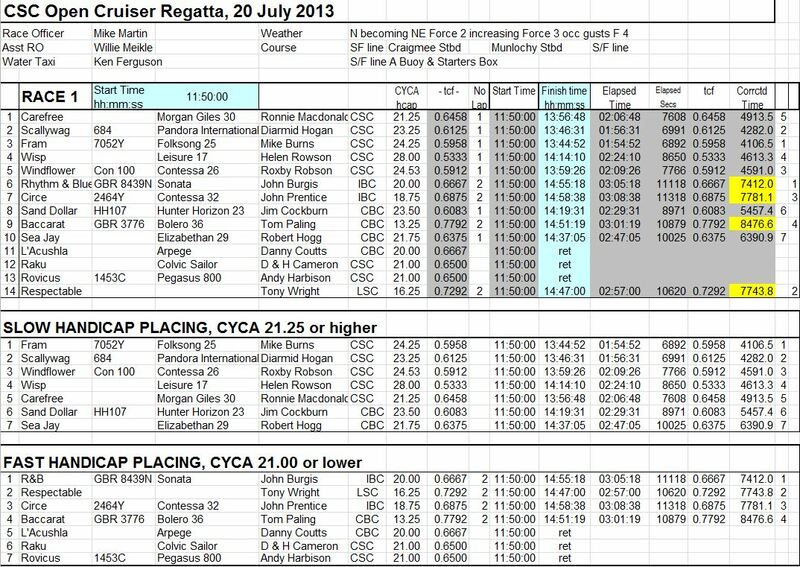 The annual Chanonry Sailing Club Cruiser Regatta open event is one of the MYA series of cruiser races in which boats from CSC, Nairn Sailing Club, Invergordon Boat Club and Cromarty Boat Club participate. It would be great to see a strong presence from the CSC fleet. There will be two back to back races with a social and prize giving in the clubhouse post racing. A bar licence and hot food will be available. As ever if there is anyone out there who has a cruiser and wishes to enter, please let me know. Likewise if anyone has a cruiser but is short of crew, or maybe you or someone you know who would like to crew on another boat, again please let me know maybe we can try and match people to boats. Race entry form, Notice of Race, Sailing instructions and details of race marks attached.